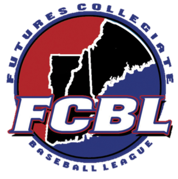 WEYMOUTH, Mass – The Futures Collegiate Baseball League of New England is pleased to announce that it will be holding an open tryout for any and all eligible NCAA and NAIA players on Friday, May 24th at Libby Field in Weymouth, Massachusetts. The physical address of the facility is 92 Middle Street, Weymouth, Mass. If you are an eligible player who is interested in trying out please visit www.futuresleagueregistration.com. Once on the page, fill out all of the necessary information. On the following page, please select option 2, the $50 try out fee option. On the day of the tryout registration and sign-in for position players will begin at 8am, with the tryout beginning at 9am. Pitchers will be able to register and sign-in beginning at 9:30am with the tryout beginning at 10am. Libby Field is an all turf, baseball only facility. There are no metal spikes permitted on the field, even for pitchers. No sunflower seeds, gum, or tobacco will be allowed at the facility. For more information on the FCBL please visit our website at thefuturesleague.com, and for more information on the tryout please contact Commissioner Joe Paolucci at commissioner@thefuturesleague.com.